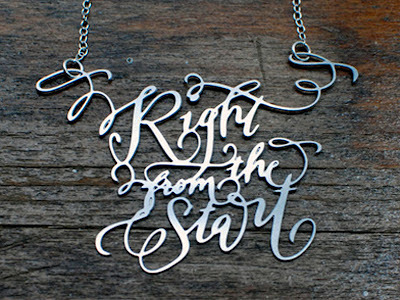 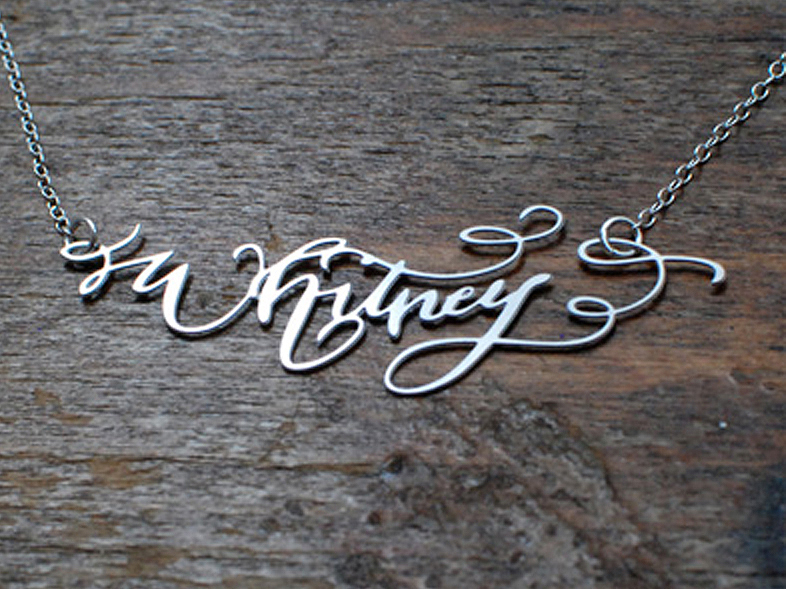 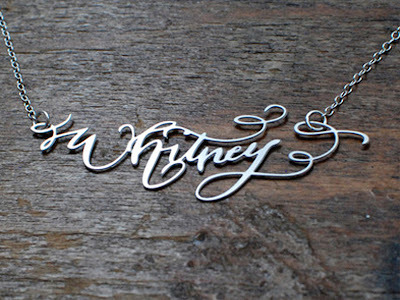 These custom made calligraphy necklaces by Brevity are next on my wish list! 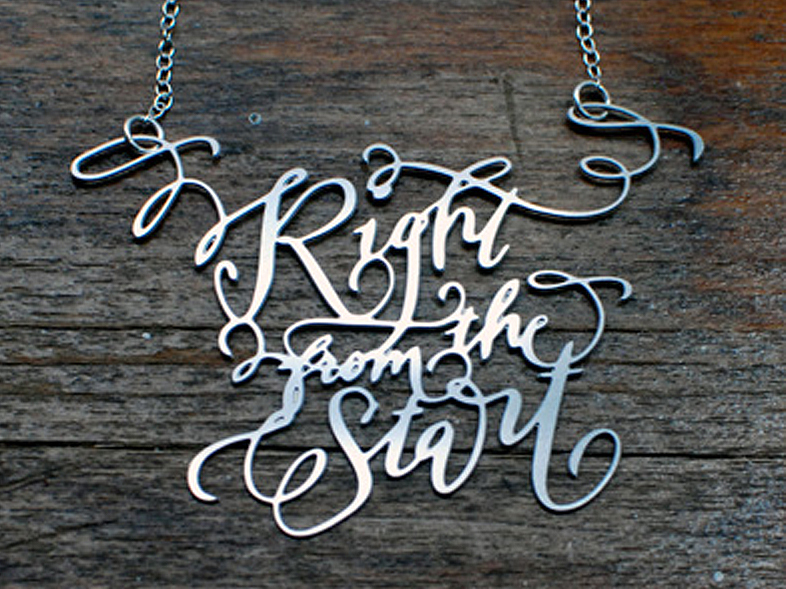 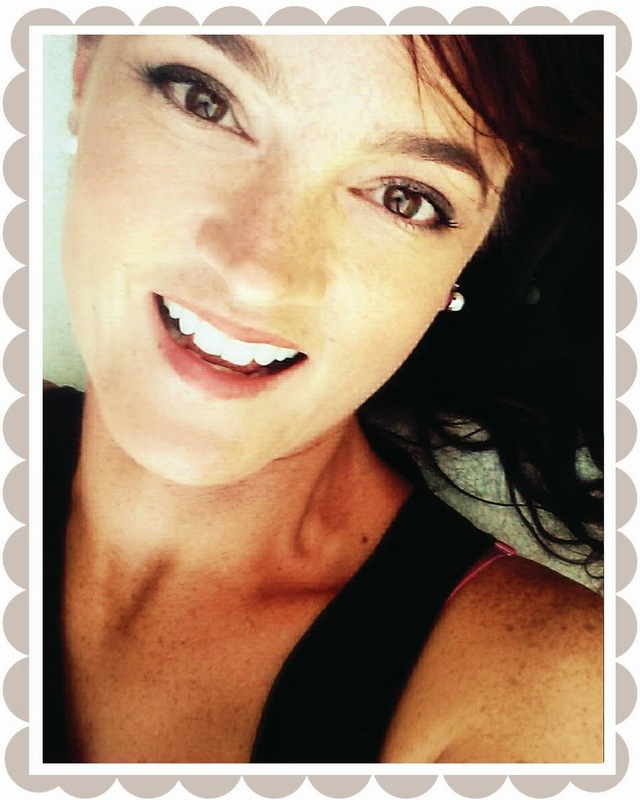 The pendant is hand lettered by Crystal Kluge and is made from stainless steel. 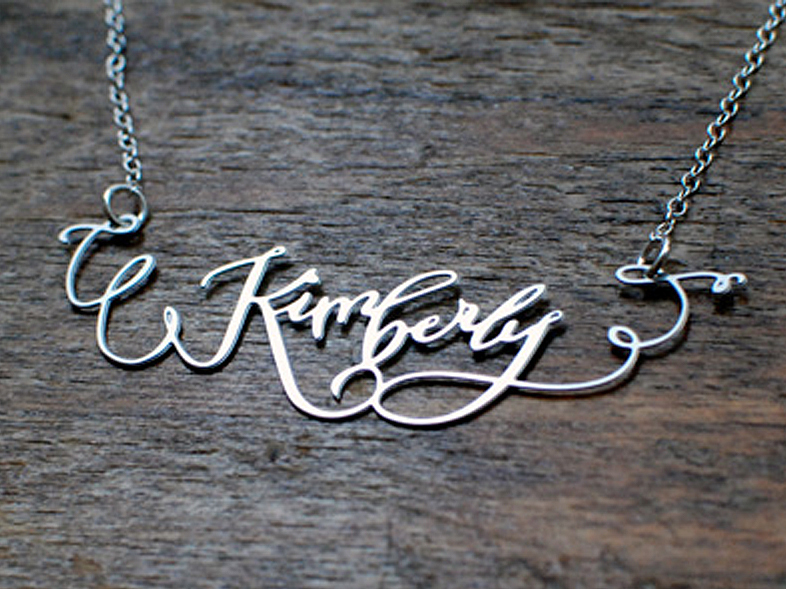 It hangs at the nape of the neck on a 15inch sterling silver chain, or in 24k gold if that's more your thing. 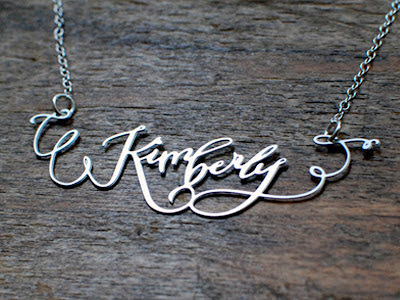 I'm thinking it would look mighty nice with a summer frock.